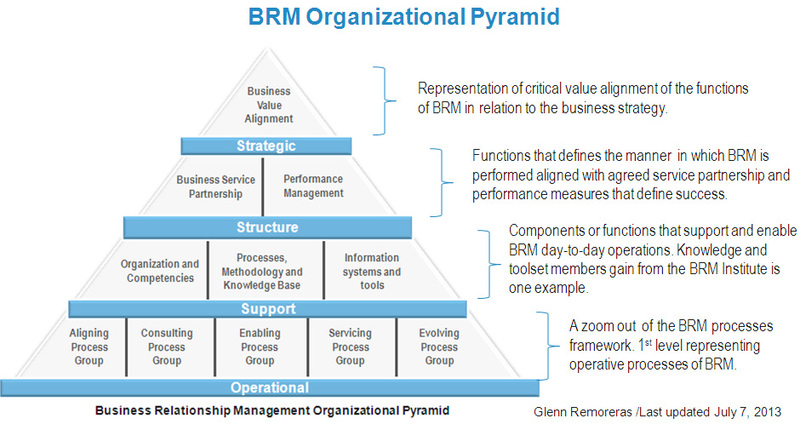 Glenn, I was teaching a BRM course this week. One of the recurring themes was that there is more art than science in the business relationship management discipline. However, I can attest that your process thinking applied to this domain significantly helps people understand and actualize the ‘art’ of relationship management. Thank you for your insight, clarity and willingness to share! I just attended the inaugural CBRM program in Atlanta and it was an amazing learning experience. Thanks to Vaughan Merlyn﻿, our instructor. He openly shared a wealth of knowledge and experience with us. Gillian, Aaron and Aleksandr made the training experience delightful and easy. Thanks for the reference books (suggested) that you emailed us AZ, by the time I get home I have around 10 books waiting for me to read!!! Congratulations BRMI!!! Well done!